Physiologic processes, immunocompetence, wound healing, and recovery from critical illness all depend upon adequate nutrient intake. 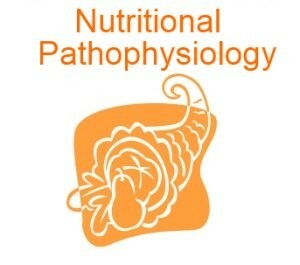 A working knowledge of nutritional pathophysiology is essential in planning nutritional regimens. During starvation, the body attempts to conserve energy substrate by recycling metabolic intermediates. The hematopoietic system utilizes glucose anaerobically, leading to lactate production. Lactate is recycled back to glucose in the liver via the glucogenic (not gluconeogenic) Cori cycle. The glycerol released during peripheral triglyceride hydrolysis is converted into glucose via gluconeogenesis. Alanine, glutamine are the preferred substrates for hepatic gluconeogenesis from amino acids and contribute 75% of the amino acid-derived carbon for glucose production. Branched chain amino acids (BCAAs) are unique because they are secreted rather than taken up by the liver during starvation; they are oxidized by skeletal, cardiac muscle to supply a portion of the energy requirements of these tissues; and they stimulate protein synthesis and inhibit catabolism. The amino groups that are derived from oxidation of BCAAs or transamination of other amino acids are donated to pyruvate or ketoglutarate to form alanine and glutamine. Glutamine is taken up by the small bowel, transaminated to form additional alanine, released into the portal circulation. Along with glucose, these amino acids participate in the glucose-alanine/glutamine-BCAA cycle, which shuttles amino groups and carbon from muscle to liver for conversion into glucose. Gluconeogenesis from amino acids results in a urinary nitrogen excretion of 8–12 g per day, predominantly as urea, which is equivalent to a loss of 340 g per day of lean tissue. At this rate, 35% of the lean body mass would be lost in 1 month, a uniformly fatal amount. However, starvation can be survived for 2–3 months as long as water is available. The body adapts to prolonged starvation by decreasing energy expenditures, shifting the substrate preference of the brain to ketones. After roughly 10 days of starvation, the brain adapts to use lipid as its primary fuel in the form of ketones. The basal metabolic rate decreases by slowing the heart rate and reducing stroke work, while voluntary activity declines owing to weakness and fatigue. The RQ, which in early starvation is 0.85 (reflecting mixed carbohydrate and fat oxidation), falls to 0.70, indicating near-exclusive fatty acid utilization. Blood ketone levels rise sharply, accompanied by increased cerebral ketone oxidation. Brain glucose utilization drops from 140 g to 60–80 g per day, decreasing the demand for gluconeogenesis. Ketones also inhibit hepatic gluconeogenesis, and urinary nitrogen excretion falls to 2–3 g per day. The main component of urine nitrogen is now ammonia (rather than urea), derived from renal transamination and gluconeogenesis from glutamine, and it buffers the acid urine that results from ketonuria. Acute or chronic starvation is characterized by hormone and fuel alterations orchestrated by changing blood substrate levels and can be conceptualized as a “substrate-driven” process. In summary, the adaptive changes in uncomplicated starvation are a decrease in energy expenditure (as much as a 30% reduction), a change in type of fuel consumed to maximize caloric potential, and preservation of protein. decreased peripheral glucose uptake due to insulin antagonism by growth hormone and epinephrine. The consequences are a marked rise in plasma concentrations of FFA, glycerol, glucose, lactate, and amino acids. The liver responds with an increase in substrate uptake and glucose production, as a result of glucagon-stimulated glycogenolysis and enhanced gluconeogenesis induced by cortisol and glucagon. This accelerated glucose production, along with inhibited peripheral uptake, produces the glucose intolerance commonly observed in traumatized patients. The kidney avidly retains water and sodium because of the effects of ADH and aldosterone. Urinary nitrogen excretion increases to 15–20 g per day in severe trauma, equivalent to a daily lean tissue loss of 750 g. Without exogenous nutrients, the median survival under these circumstances is about 15 days. There are several reasons for the different metabolic responses observed following elective surgery versus major trauma. The neuroendocrine response is blunted in the operating room through the liberal use of analgesics and immobilization. Sedated patients lack cortical stimulation to the hypothalamus. Atraumatic surgical handling of tissues reduces proinflammatory cytokine release. The net result is that the REE rises only 10% in postoperative patients, compared with 25–30% after severe accidental trauma. In contrast to the substrate dependency of uncomplicated starvation, operation and trauma are “neuroendocrine-driven” processes. The nutritional pathophysiology and metabolic changes during sepsis differ from those observed after injury. The REE rises 50–80% above the norm, and urinary nitrogen excretion reaches 20–30 g per day, predominantly due to profound muscle catabolism and impaired synthesis. Catabolism at this rate equates to a median survival of 10 days without nutritional input. The plasma glucose, amino acid, and FFA levels increase more than with trauma. Hepatic protein synthesis is stimulated, with both enhanced secretion of export protein and accumulation of structural protein. The RQ falls to 0.69–0.71, indicative of intense lipid oxidation. This unchecked lipolysis and gluconeogenesis continues despite supplementation with carbohydrate or fat, leading to the hyperglycemia and insulin resistance commonly observed in septic patients. Sepsis results in elaboration of inflammatory cytokines, most notably TNF-, IL-1, IL-6. Alteration in hepatic protein synthesis towards production of acute-phase proteins is triggered by IL-6. Septic patients also develop an abnormal plasma amino acid pattern (increased levels of AAAs and decreased levels of BCAAs) similar to that of patients with liver failure. In contrast to simple starvation, protein conservation does not occur in sepsis. Terminal sepsis results in further increases in plasma amino acids, a fall in glucose concentration, as hepatic amino acid clearance declines and gluconeogenesis ceases.